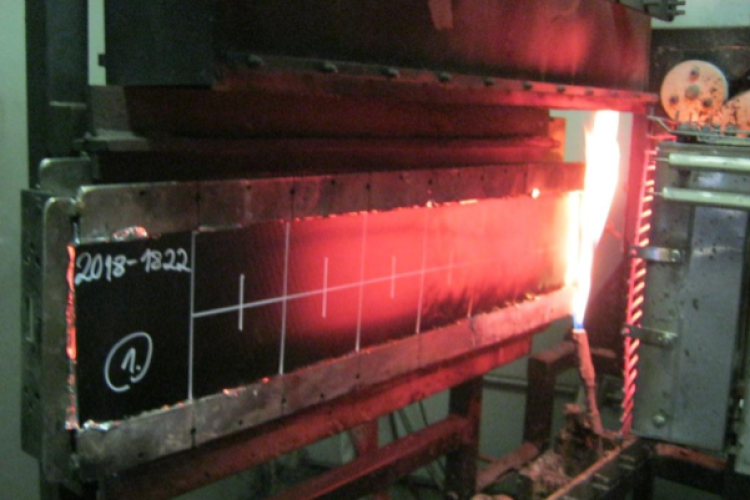 Composites Evolution’s Evopreg PFC502 prepreg has recently completed an extensive series of tests to demonstrate compliance with the Hazard Level 3 (HL3) requirements of rail industry fire standard EN45545-2. 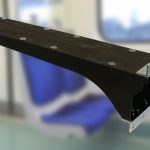 HL3 represents the most stringent requirement of EN45545-2, allowing materials to be used on trains that pass through tunnels where no side evacuation is possible, such as in many underground metro systems. Evopreg PFC502 prepregs are a range of fire-retardant pre-impregnated composite materials based on a polyfurfuryl alcohol (PFA) bioresin. PFA is a thermosetting bioresin derived from crop waste. It is similar to phenolic resin but with lower toxicity and VOC emissions. In addition to its environmental credentials, it has outstanding fire retardant properties, plus excellent temperature and chemical resistance. Evopreg PFC502 prepregs can be used to produce a wide range of interior components including wall and ceiling panels, seats, tables and vestibule areas. The EN45545-2 testing was performed by Element Materials Technology against Requirement Sets R1 (interior surfaces) and R6 (passenger seat shells). The testing included heat release to ISO 5660-1, lateral flame spread to EN 5658-2 and smoke density and toxicity to EN ISO 5659-2. Both glass and carbon-reinforced PFA laminates were tested and both met the HL3 requirement. Evopreg PFC502 prepregs can be supplied with a wide range of reinforcement fibres and fabric constructions. They can be consolidated by vacuum bagging, press moulding or autoclave and are designed for applications including rail interiors, aircraft interiors, marine, offshore and construction. A Technical Guide summarising the results of the testing is available to download.